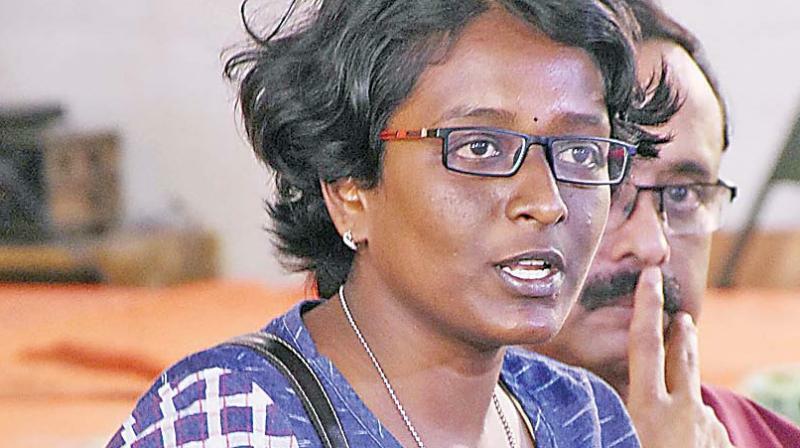 Tamil Nadu police is hounding film maker Divya Bharathi. On Monday evening 15 police officials entered her home without search warrant and demander her father about her whereabouts. On Tuesday, the group stopped her vehicle outside Madurai District Court, insisting that she come with them. “We kept asking who they were and if they had summons, which they didn’t. They even took our keys. When we asked for the officer to show us his id card, we found that he’s from Salem. When Madurai police officers have not approached, what is the need for an official from Salem to investigate?” asks Gopal. Divya is currently with friends inside Madurai bar council under the supervision of bar council secretary. Divya Bharathi wrote on her Facebook page on June 3 afternoon that she was being intimidated. Divya Bharathi’s documentary “Kakkoos” on manual scavenging received rave reviews and also incurred the ire of the Tamil Nadu government. In July last year Divya was arrested on an FIR filed in 2009.